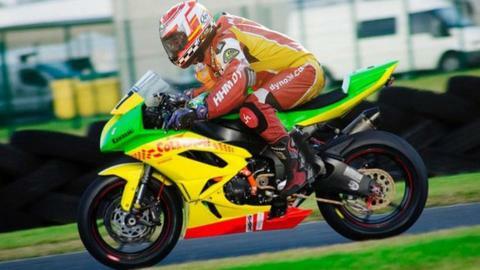 Spanish rider Antonio Maeso will make his North West 200 comeback this year in the Supersport class. Maeso is set to return to the Triangle circuit after recovering from injuries sustained in a high speed crash at the Isle of Man TT in 2013. He has signed for the Ballyclare based Longshot racing team and will compete on their Kawasaki ZX6R machine. "I cycle, run and ride MX and trial bikes every day to prepare for the 2016 North West 200," said Maeso. Maeso has undergone extensive rehabilitation on a broken knee suffered in the TT crash. He secured a top-10 finish in the Superbike race on his last NW 200 appearance in 2013. "I've been in a wheel chair for six months so it is very difficult to predict the future - some people even doubted that I could ever walk normally again," added Maeso. "My intention for this year is just to be able to get back to where I left it and that would be a victory in itself. "I intend to set up a deal with a team for other classes for the Isle of Man TT and to make my debut at the Ulster Grand Prix later this summer."